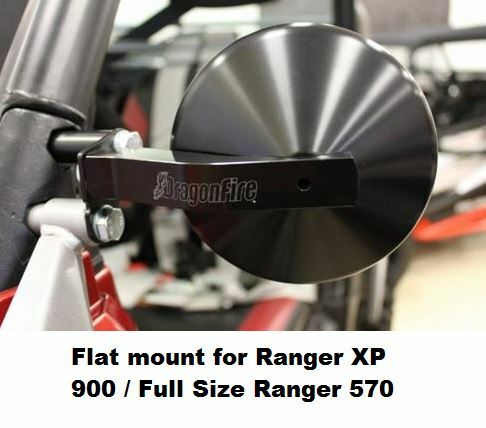 Add some style and function to your UTV with the sleek Super Sport Side View Mirrors from Dragonfire Racing. 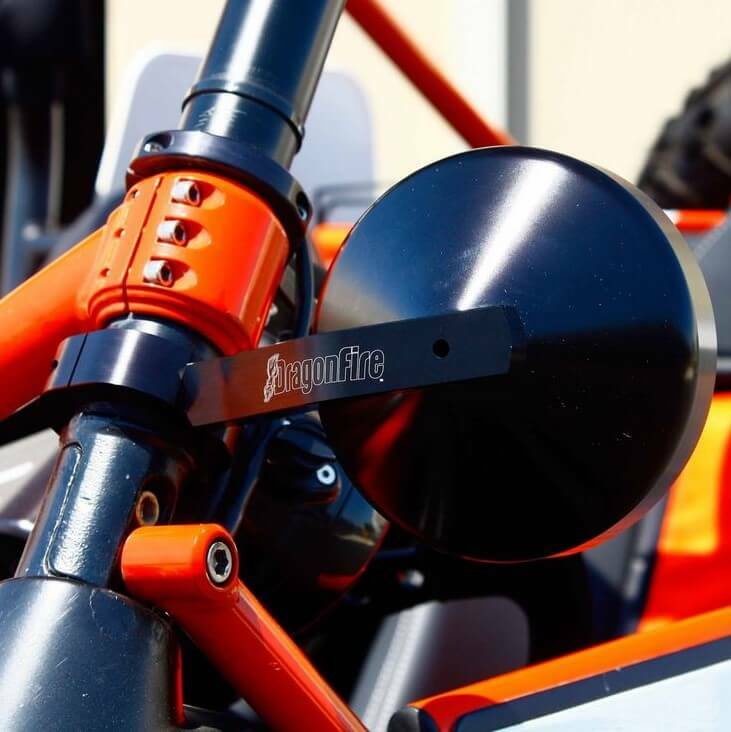 Made right here in the U.S.A., these mirrors are constructed from CNC machined billet aluminum making them strong enough to endure some serious abuse from even the roughest rides. 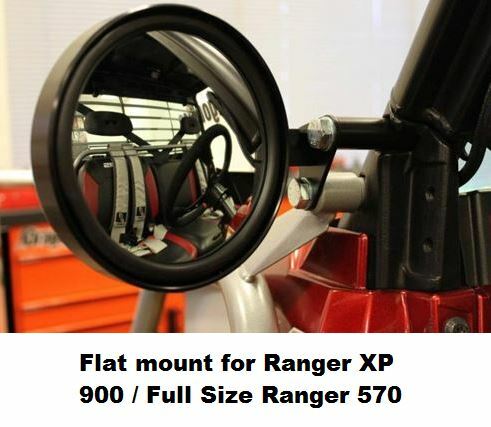 A lightweight design and race-proven 2 bolt cage clamps mean you won't have to worry about these mirrors going anywhere. 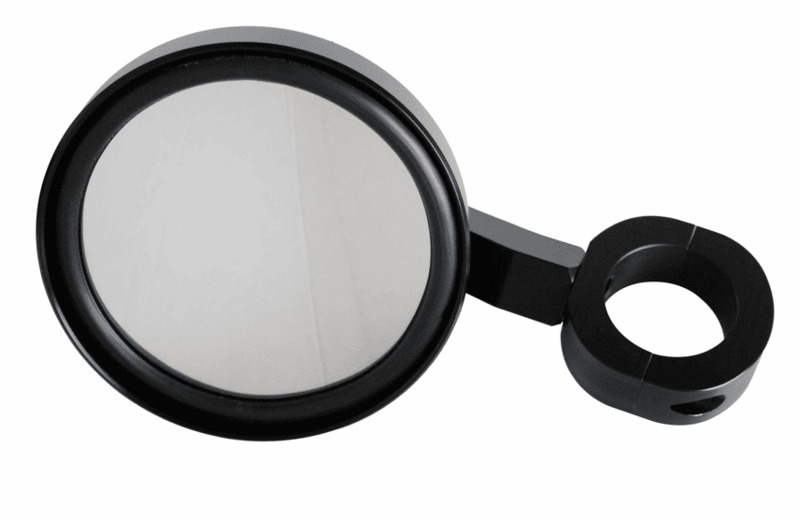 Convex mirror glass that pivots 360-degrees inside the housing, ensures the best view at any angle with just a simple touch. 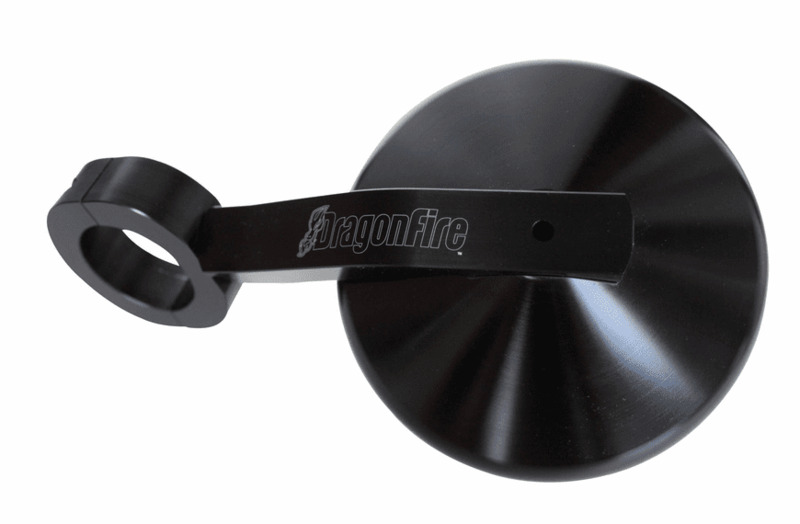 Because of the black anodized finish, which creates a strong barrier, the housing is more resistant to rust and weathering so these mirrors will still look great down the road. 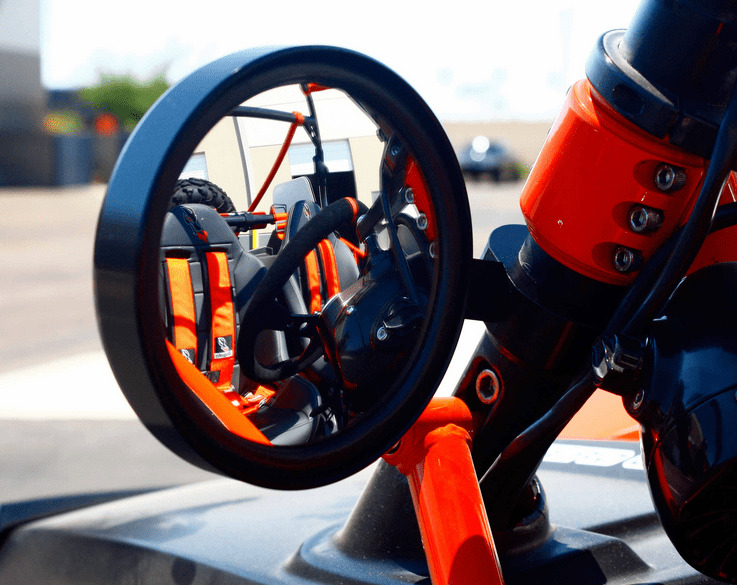 With 4 different sized clamps available to fit your machine and all the great features, the Super Sport Side View Mirrors are sure to catch everyone's eye.